Jaydeep Steels is a highly acclaimed manufacturer and exporter of various kinds of Aluminium Flanges in India and the international markets. 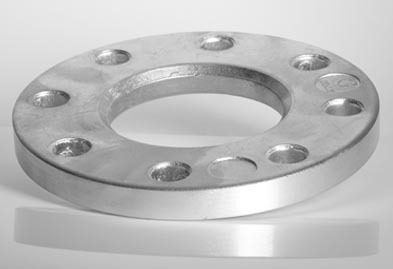 Being one of the leading manufacturers of Aluminium Pipe Flanges, we pay special focus to each and every manufacturing procedure so as to assure the quality of the finished product. Furthermore, we also deal with the manufacturing of Aluminium Pipe Flanges, and hence offer just about everything to meet your industrial requirements. Starting from the procurement of raw material for production to the packaging and delivering of the final product, we pay special attention to every tiny detail. We have a wide array of various types of Aluminium flanges like Aluminium Slip on Flanges, Aluminium Blind Flanges, Aluminium Weld Neck Flanges, Aluminium Socket Weld Flanges, Aluminium Threaded Flanges, Aluminium Lap Joint Flanges, and many more. For these products, quality assurance holds primary importance as their use in varied industrial and commercial sectors is excessively high. 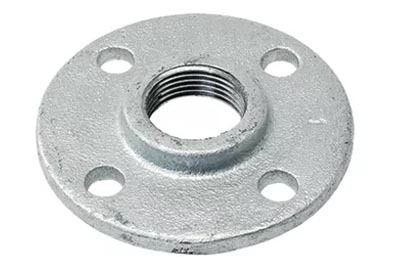 Some of the most common applications of these flanges are flue gas desulfurization scrubbers, petroleum production industry components, food processing equipment and much more. Furthermore, these are very often found to be a more cost-effective substitute for high nickel and titanium alloys. As these are highly corrosion resistant, hence they are used in processes involving the use of seawater, hydrochloric acid, and contaminated sulphuric acid. Additionally, keeping in mind their wider application requirements, these products are offered by us to our customers at a very affordable price range, and in different sizes and shapes, too. Contact Jaydeep Steels to request a free quote! Class / Pressure 150#, 300#, 600#, 900#, 1500#, 2500#, PN6, PN10, PN16, PN25, PN40, PN64, PN100, PN160 etc. Jaydeep Steels stocks a wide range of materials and grades. Below is a list of all standard aluminium flanges materials and grades we stock. Our experienced team of metal experts will get you the metal you need when you need it. Call us today for your Aluminium Flanges Needs!